I have been using Lofty facial home kit for quite long time, so it was time that i can review this beauty kit. It has all the essential products needed for daily beauty routine or facial round including cleanser, massage cream, face polish cream, peel off mask, toner and sunscreen in very reasonable price, each product contain 75ml and toner contain 50ml of product. Lets talk about each product one by one. My-Nature skin cleansing milk is unisex soft textured creamy milk that effectively removes every trace of makeup and soil. Its gentle formula contains Rose water that enhances smoothness of skin and reduces inflamation and irritation due to dryness. Lemon extract controls too much oiliness of skin and maintains pH of the skin. 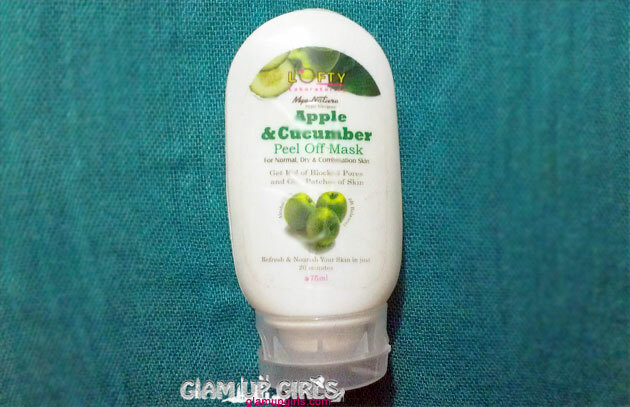 Cucumber extract contains natural surfactant, and gently removes dirt and dead cells, and opens blocked pores. 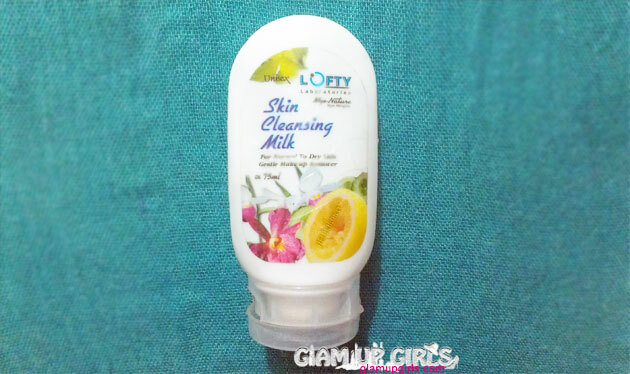 This cleansing milk has moderate consistency with white color, it has very light floral odor which is not bothersome. To be honest i really love this product, it cleans your skin deeply and make it soft and smooth. I mostly use this product as makeup remover and it never disappointed me. After massaging with this cleansing milk simply clean your face with cotton or tissue and your face is free from all makeup and dirt and now you can wash it with regular face wash. This product is for Normal to Dry skin but i have found it effective for combination skin and it never cause any break out. 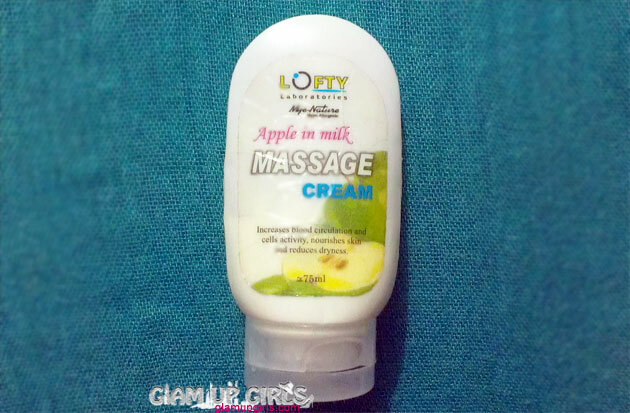 Apple in milk massage cream is an excellent skin toning and softening massage cream. It stimulates blood circulation and increases cells activity. Protein from milk conditions skin and reduce dryness of the skin. Minerals from milk nourishes skin. Apple extract increases freshness and removes upper dead cells of the skin and regenerates new skin cells. It also increases the moisture level of the skin. It is thick pale green color cream. It has strong smell of apple which is wonderful and one will really enjoy while massaging. I use this cream once in week to keep skin hydrated and it make my skin feel healthy and glowing. Once you are done with massaging clean your skin with cotton and tissue then you do not need to wash your face, it can work as night cream as well it will remove dry patches and you can feel your skin baby soft. It never broke out to combination skin but cannot say about acne prone or oily skin. Mye-Nature skin polish is a perfect blend of micro grains and skin nourishing ingredients. Therefore, during the process of massage micro-grains slough of dead cell and at the same time help in deep nourishing of skin. As a result skin feels baby soft, healthier and shiny just like a polished surface. Its small size grains gently clean the pores and remove the clogged sebum so the skin can breath. It has thick texture and pale blue color. It has tiny grains with wonderful mild floral scent. This product is one of my most favorite among this kit. It gently removes the dead skin and leaves the skin so shiny and soft as it claims. I use this for face and lip exfoliation and loves every thing about it like texture, smell and result. When your skin looks tired and flaky or you have got blocked pores and oily patches, the fastest complexion pick-me-up deep cleans with Mye-Nature Apple & Cucumber Peel Off Mask. Its not only clean the skin but also tightens the skin and expand blood vessels, so blood rushes to the skin surface and makes your complexion seem smoother and rosier and pores also look smaller. It has thick texture with pale green color and has a catchy fragrance mixture of Apple, cucumber. I mostly used it after massaging. It dries in 10 to 15 minutes. After peeling it off you will feel that all the oily residues are gone and skin will feel stretched and glow y. 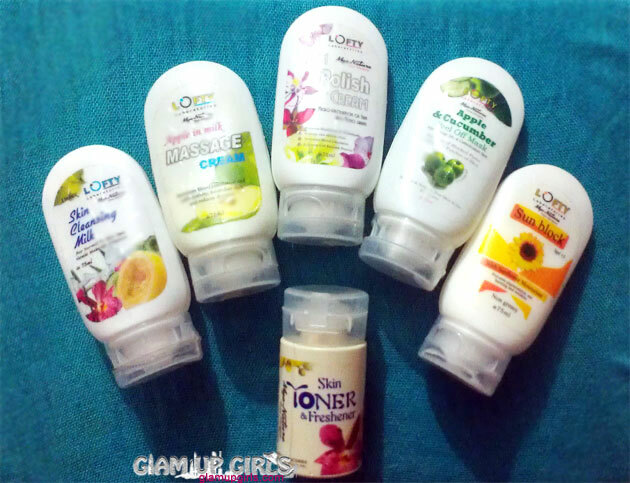 Advance Multi-functional Formula, Natural skin Cleanser, Hydrator & Astringent restores skin natural pH after cleansing. It is colorless liquid with wonderful floral and lemon scent. Toners are mostly used to minimize the pores, so i am using it after cleansing which leaves the skin hydrating and fresh. It will be good toner for all skin types in my opinion as it never leaves the skin dry on dry patches and not even make it oily for combination skins. 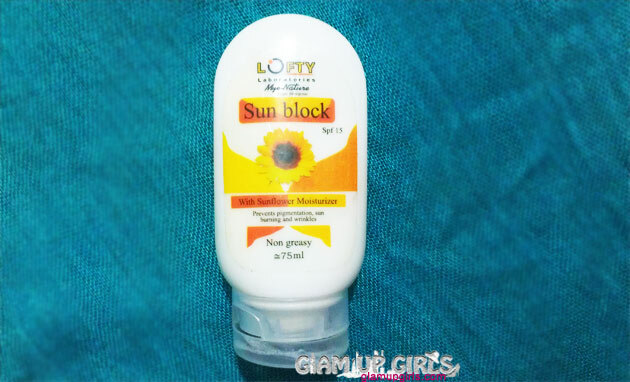 Lofty Mye-nature sun block gives complete protection against UV-A and UV-B radiation of sun. Its dual action prevents skin burning and pigmentation. Its daily use prevents photo aging and premature aging of skin. It is a light texture white color sunblock with light floral fragrance. The good thing about it that it is non greasy moisturizer with SPF 15 which makes it perfect to use it before applying makeup. It is light weight and leaves the skin soft and non greasy. If you want to only wear sunblock and are staying too long in sun then you might need SPF 30 or more but for less exposure to sun it will be best. It is suitable for dry, normal and combination skin but cannot say about acne prone or too oily skin. Overall i am loving all the products in this kit for such a great price and using it for more then a year. In my opinion it is suitable for dry, normal and combination skins, i would highly recommend this kit for these skin types. Lofty Home Facial Kit is priced around PKR 500 and is available on all leading stores, you can buy single product as well.